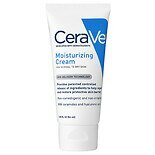 Shop CeraVe Face and Body Moisturizing Cream for Normal to Dry Skin Fragrance Free (16 oz. )16 oz. $1699$16 and 99 cents$1.06 / oz. 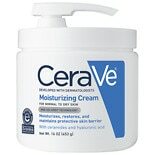 Shop CeraVe Face and Body Moisturizing Cream with Pump for Normal to Dry Skin (16 oz. )16 oz. $1899$18 and 99 cents$1.19 / oz. 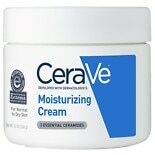 Shop CeraVe Face and Body Moisturizing Cream for Normal to Dry Skin Fragrance Free (1.89 oz. )1.89 oz. $499$4 and 99 cents$2.64 / oz. 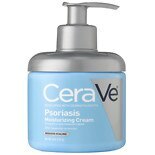 Shop CeraVe Psoriasis Moisturizing Cream with Essential Ceramides (8 oz. )8 oz. 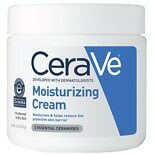 Shop CeraVe Face and Body Moisturizing Cream for Normal to Dry Skin Fragrance Free (12 oz. )12 oz. $1399$13 and 99 cents$1.17 / oz.